-My name is Ernst J. Dabel, and not only am I the author of PANTHEONS, but I’m also the President and co-owner of Dabel Brothers Productions. I’ve been in the publishing business for over 10 years and my company has adapted numerous novels into graphic novels. I’ve worked with authors such as Dean Koontz, Laurell K. Hamilton, Jim Butcher, George R.R. Martin, Robert Jordan, Orson Scott Card, Raymond E. Feist, and many others. Many of our graphic novels have been on the NY Times Bestseller’s list, Jim Butcher’s Welcome to the Jungle, and Robert Jordan’s The Wheel of Time. Mercy Thompson: Homecoming graphic novel by Patricia Briggs was actually on the Bestseller list for well over 6 weeks. 2. When did you first realize that you wanted to be a writer? 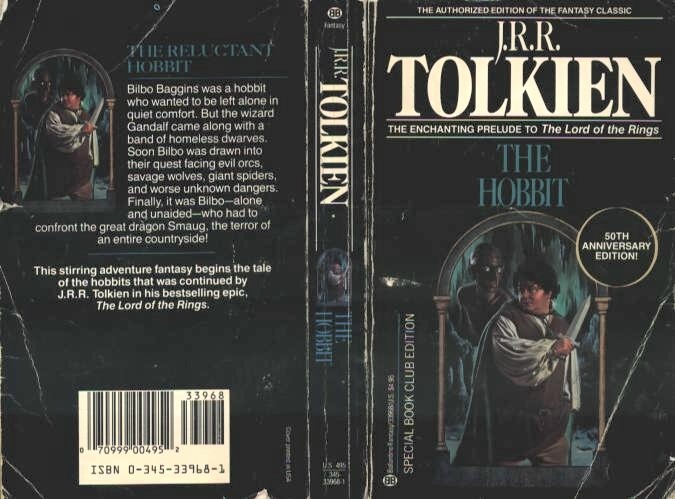 I was hooked, and Les had a big grin on his face as I devoured that book, then went on to read the Lord of the Rings, and finally the Silmarillion all before my thirteenth birthday. When I finished the Silmarillion, a passion for writing stirred within me I never knew existed and I knew then that I wanted to be a writer. 3. If you had to choose, which writer made the biggest impact in your decision to write? -I’d have to say that a lot of authors made an impact in some way or other. J.R.R. Tolkien was the first writer who made the first big impact in my decision to write. His novels were the first to keep me up all hours of the night when I was twelve. My biggest regret, however, was the fact that he died in 1973 and I was born in 1975. I would have liked the opportunity to have met him. I could say that he was the only author that I read and enjoyed as a kid, but unfortunately died before I had a chance to publish his work, and that is one of my biggest regret in my life. Aside from Tolkien, every other author that kept me up at night and made an impact in my decision to write, I’ve had the honor of publishing them all. -Right now, I’m reading a book by C.S. Marks called ‘Ravenshade’. I finished the first two books in the series ‘Elfhunter’ and ‘Fire-heart’. C.S. Marks is brilliant! I’m happy that my brother David is publishing her series at his company Sea Lion Books. 5. How did you come up with the idea for Pantheons? -Actually, I didn’t. My brother Les, the same one who first got me the Hobbit back when I was twelve, said to me ‘Ernst, why don’t you write a book about all the gods of the ancient world as teenagers in the same school. You can have the Greeks, Norse, Egyptian, Celts and all of the others. Can you imagine Zeus fighting Odin?’ Before he even finished talking, my pen was already flying across my notebook, that very same night I started my research and the idea evolved from there. The next day, I had papers all over the place filled with notes. 6. The characters you created for Pantheons take a life of their own. Like they leap off the pages. Do you find it hard to remember each character’s personality? -Yes, they do take a life of their own. Sometimes, I’m surprised at the turn they take. One such character which leapt off the pages was the Celtic god Lugh. There are some of the main characters whose personalities I’m used to by now, but for the vast majority it is very hard to remember. With the amount of characters I have to deal with I have to keep good notes on them all. My wife, Aba, she helps me a lot by filing all of my characters. 7. We hear that you are in the process of writing Pantheon’s sequel. Will this be a trilogy or a series?? Do you have any other books in the works? -Yes, I’m hard at work with Pantheons Book #2, and it will be a series. My first reviewer, Katy Sozaeva, had asked me about The Morrigan and Cerridwen, and I told her that both will make their appearance in book two, as well as Cerridwen’s sons Morfran and Taliesin. The first book in my other series, ALBINO book #1 is about woodland creatures in a fantasy setting. The story is finished and will be edited soon to be released sometime next year. The hero is Albino, a mouse as big as a rat with fur as white as snow and eyes as red as cherries. I’ve sent a picture of Albino so you can get a sneak peek, I hope you enjoy it. 8. Will there be a graphic novel of Pantheon’s in the near future??? -4th and 5th prize: A Signed Glossy Print of the “Pantheons” Cover. Nice interview, Ernst. The Hobbit is one of my childhood favorites, as well. =) Congrats on the new release! Happy New Year! Thank you, Dana. It's always a pleasure to talk to another person who shares the same love and appreciation you have for a book :) I hope you had a chance to see The Hobbit trailer, if you haven't, enjoy the link below. Thank you again and have a blessed Happy New Year!! Go on, comment and tell me what you think of this post... I dare you! Misty has read 0 books toward her goal of 100 books.